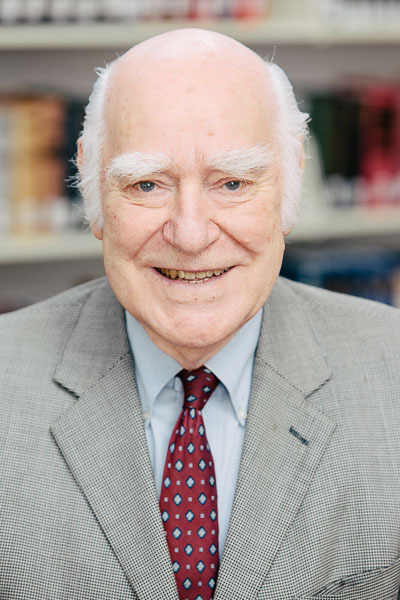 On August 31, Dr. Peter Sampo, president emeritus, co-founder of the college, and current member of the faculty, presented a paper at the 34th International Meeting of the Eric Voegelin Society entitled, “History, Ideology and Noetic Differentiation.” A student of Eric Voegelin, Dr. Sampo offered reflections derived from both a thorough knowledge of Voegelin’s writings as well as from his experience with the philosopher in the classroom. In this paper, Dr. Sampo took up Voegelin’s themes of “outbursts of transcendence in history,” the distortions that ideological thinking cause in our approach to the nature of things, and the necessity of differentiation as a precondition for any meaningful understanding of reality. As is always the case, the Society’s meeting was an occasion for good fellowship among scholars united in their devotion to Voegelin’s work as well as the occasion for new friendships. The Society’s meeting also served to confirm that while Dr. Sampo’s gifts and his vision of liberal education are thoroughly appreciated at the college, they are also held in high esteem in the larger scholarly community. Students at Northeast Catholic—both in courses in politics as well as the Humanities sequence—have the opportunity to study with Dr. Sampo, including those in which Voegelin’s writings feature prominently.